Last December, we launched a more intuitive, cost-effective way for you to trade options. This was an important step in enabling you to easily manage all of your investments in one place. Since then, we’ve transacted over $2 billion in options premium volume, and we’re becoming one of the biggest options-trading platforms. Today, we’re introducing multi-leg options strategies on Robinhood, improving the options trading experience, and giving you more control over your investments. You can now trade multi-leg options strategies in a single order, and monitor these contracts together, commission-free. Multi-leg options strategies have been one of the most frequently requested features by options investors on Robinhood. With multi-leg, you can trade Level 3 strategies such as iron condors, straddles, strangles, call and put debit spreads, and call and put credit spreads more efficiently, invest at a lower risk, and with less capital requirements. You can also monitor and close your options positions on Robinhood Web. 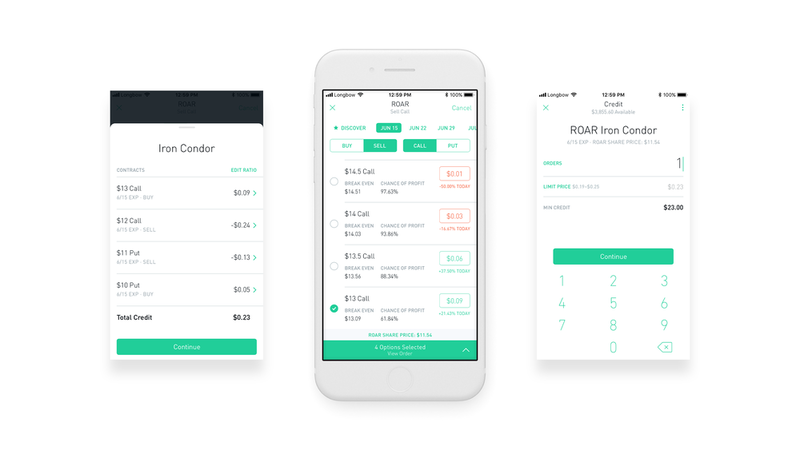 In the near future, we’ll be bringing all options features available on the Robinhood App, to Web. Commission-free, always: No commission and no per contract fee upon buying or selling options, as well as no exercise or assignment fees. On other platforms, options traders pay up to $6.95 + $0.75 per contract and up to $19.99 upon exercising and assignment. Discover: This feature guides you through placing options trades. To help facilitate the decision making process, we removed unnecessary jargon, and added educational resources to help you learn how to buy a call or a put, the associated risks, and more. Soon, we’ll also automatically surface the most common options strategies in the market, simplifying the otherwise cumbersome options trading experience. Intuitively designed: We redesigned the options trading experience by replacing traditional, complicated options tables with a more intuitive design, highlighting the most important information. Stay informed: Market data for options investors streams in real-time, keeping you in the loop on the latest. To get started, download the latest version of Robinhood from the App Store or Google Play, and sign up for options trading. More information about options trading can be found in the Help Center, and in the options risk disclosure document. 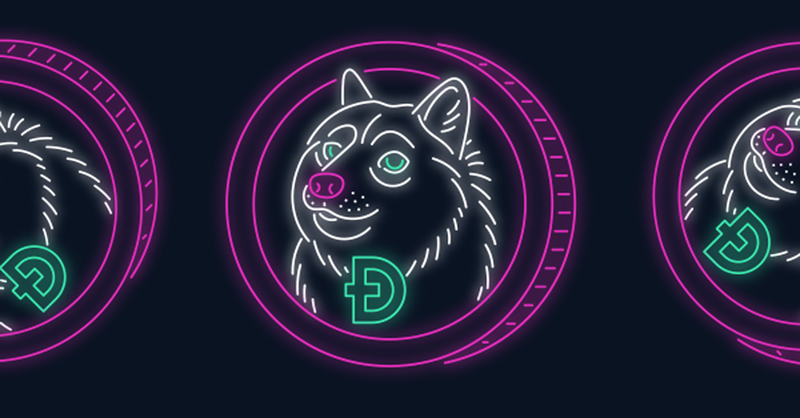 We continuously strive to improve our products to provide you with the best experience, and empower people to participate in the American financial system. Here’s an update on the progress we’ve made over the past few months to deliver on this promise. Just like on the Robinhood App, you can now track and invest in Bitcoin and other cryptocurrency on Web. You can also monitor and close your options positions, with additional options functionality coming soon. More States: Over the past few months, we’ve launched cryptocurrency trading in 13 states (AZ, CA, CO, FL, MA, MI, MS, MO, MT, NM, PA, UT, WI) and look forward to making cryptocurrency trading available in more states. Feed: Share instant status updates when you buy or sell Bitcoin or Ethereum in the Robinhood App, or simply tune in to the discussion to stay on top of what’s happening in the cryptocurrency world. Price Alerts: We’re rolling out real-time push notifications to alert you of significant price swings for tradeable cryptocurrency on your Watchlist. We recently released Discover, a feature that guides investors through placing options trades. To help facilitate the decision making process we removed unnecessary jargon, and added educational resources to help you learn how to buy a call or a put, the associated risks, and more. Over the next couple months, we’ll be launching new tools for options trading across our platform such as more advanced options strategies, and more comprehensive discovery tools to support them. 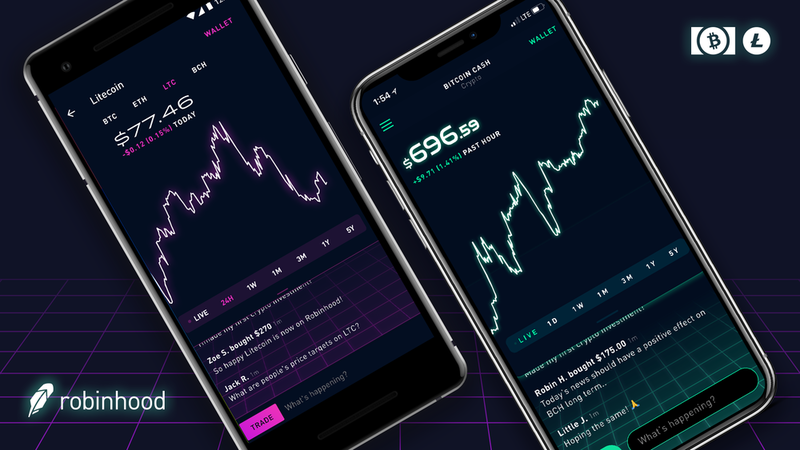 Robinhood Crypto will continue to launch in more states, and you’ll be able to track and invest in additional coins. You’ll also be able to better keep track of and manage your stock referrals on Web. We don’t want to spoil all the surprises, so check back here or on Twitter @RobinhoodApp for the latest.